An old favorite back again! 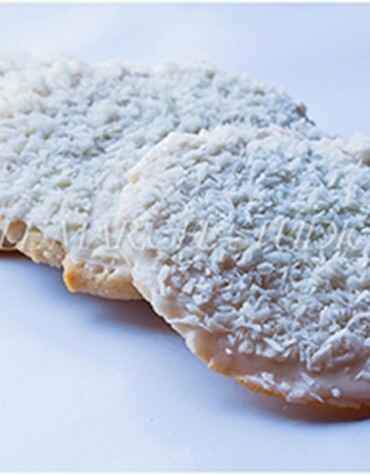 Our wafer thin, crunchy honey cookie is dipped in vanilla and coated with shaved coconut. Easy on the stomach and on the eyes.